This album features interesting lyrics and variety when it comes to beats. It also has an assured, original swagger to it. 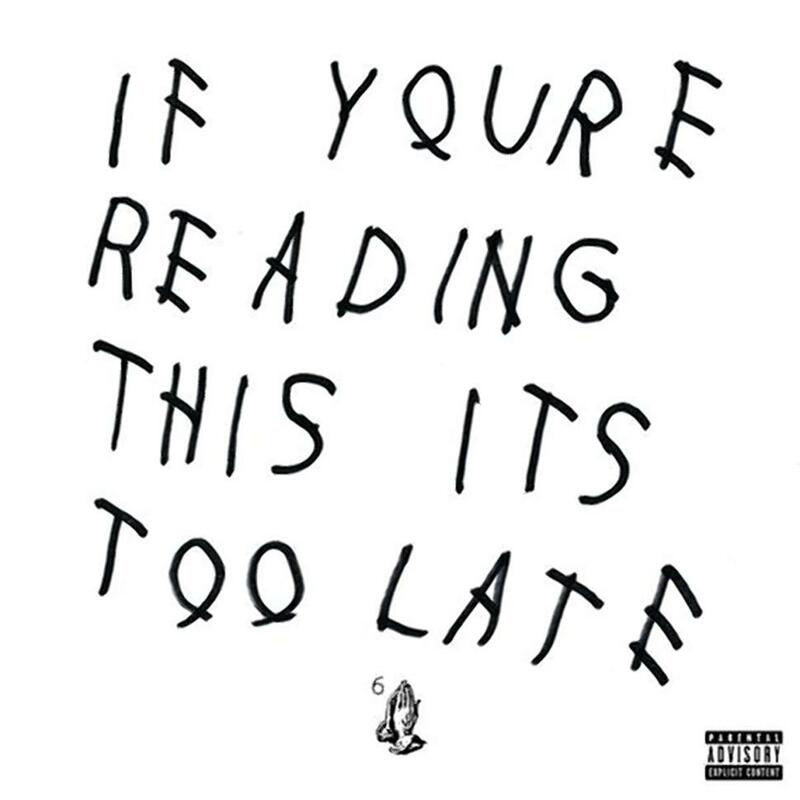 If You’re Reading This It’s Too Late really doesn't need to be 17 tracks long, and it can get repetitive. It’s okay to leave some songs on the cutting room floor, after all. This album was a surprise release, with no singles as yet, and comes out amidst rumours that Drake released it for free on Soundcloud partly as a way to wiggle out of his contract with Cash Money. Still, it makes for good listening. Opening track “Legend” is a swaggering, skilful ode to how great Drake is that somehow manages to avoid being obnoxious. “Energy” is more contemplative, with a gorgeous piano melody and some engaging beats. “10 Bands” moves into lighter territory with delicate synth and rich beats under some creative rapping. “Know Yourself” builds slowly with an intense bassline, creating a brooding atmosphere as Drake dwells on the pitfalls of fame, money, and recognition. “No Tellin’” offers melodic rapping, a haunting melody, and pulsing beats, but lacks punch compared to other tracks on the album. “Madonna” is a somewhat undecided track, veering between poppy beats and low-key vocals. It tries to evoke sadness, but it just feels a little disjointed. “6 God” livens things up, with a pulsing beat and rapid-fire rapping, although it never truly seems to get off the ground. “Star67” is full of fairly tired hip hop tropes about money, guns, and women; this feels like a step down from the so-far thoughtful and interesting lyrics on this album. It has a good beat, but isn’t especially engaging or unique. “Preach”, featuring PARTYNEXTDOOR, uses synth and a driving beat to veer between party track and moody contemplation. It’s a welcome change in tempo and vibe. “Wednesday Night Interlude” is a little surreal, very slow, and enjoyably melodic. It is well named; this feels like an interlude between other tracks and isn’t especially exciting on its own. “Used To”, featuring Lil Wayne, has a satisfying swagger amid its ranting about untrue friends and jealousy. It is held up by a pounding synth beat and some light-hearted vocals; the only downfall is the length, as it sags into repetition in the middle before picking up again at the end. “6 Man” starts out with a hypnotic sound before bursting into Mike Oldfield-style melodies and rapping about life’s craziness over skilled scratching. It certainly livens up the album, creating a much-needed mood shift. “Now & Forever” has driving bass and pleasing melody, but the monotone vocals and middling tempo bring it down. “Company”, featuring Travi$ Scott, launches into storytelling with some success, and goes further with the synth and quirky melodies that make up so much of this album. “You & The 6” continues the theme of dramatic intros and driving beats, moving along in a mid-tempo dissection of Drake’s relationship with his mother. It’s oddly touching and angry at the same time, and reveals a layer of complexity missing from many of the tracks on this record. “Jungle”, the penultimate track, is a bluesy, drifting number that moves along pleasantly enough on a steady beat. It isn’t remarkable, but at least it is interesting enough to have earned its place on the album. Finally, bonus track “6PM in New York” picks things up with lively drums and self-referential, rapid-fire vocals that remain consistently compelling. 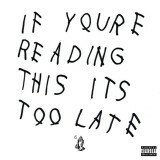 Overall, If You’re Reading This It’s Too Late can be challenging, but it’s ultimately a good album. This record could have been five tracks shorter and still conveyed the same message, but the tracks that feel like filler are unobtrusive and there is nothing to strongly dislike about anything here. Drake fans will love this album; other listeners might find themselves tempted to hit the Skip button more than once. Find the most competitive price for ‘If You’re Reading This It’s Too Late’ in the table below. If viewing from a mobile device please click on + to get more information.